From jazz to gnawa music, electro-acoustic trance to total improvisation, in solo or in a big band, collaborating on dance and theatre productions and making soundtracks for movies (including “John From” which got him a nomination for Best Original Music at the Fénix Awards 2016 in Mexico), João Lobo maintains a versatile career as a musician mainly playing the drums. He is the co-founder of Norman, Oba Loba, Going, Tetterapadequ, Mulabanda, and a proud member of Giovanni Guidi Trio, Manuel Hermia Trio, Punk Kong and Daniele Martini Quartet. He has recorded more than 40 albums, some self-produced and others for labels such as ECM, Clean Feed, CamJazz, De Werf, El Negocito, three:four records, Challenge, NEOS, Silent Water. 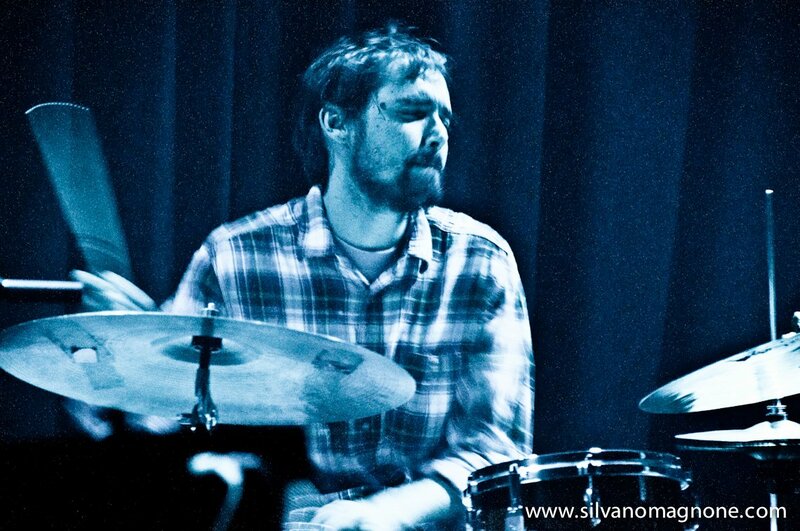 He has performed and/or recorded in many countries around the world with many musicians including Enrico Rava, Marshall Allen, Rosewell Rudd, Carlos Bica, Nate Wooley, Maalem Hassan Zogari, Tatsuhisa Yamamoto, Thomas Morgan, Chris Corsano, and collaborates intensely with Norberto Lobo, Giovanni Di Domenico, Lynn Cassiers, Manolo Cabras and Giovanni Guidi.